Interview: PAUL KEALY Having spent much of his working life at the Racing Post, Paul has progressed through the ranks to his current position as head of tipping at the paper. He’s hugely respected in the industry as one of the UK’s best judges of form with his tips loyally followed by punters nationwide. In this series of interviews Paul gives an insight into how he deciphers the form book and sees what others don’t in his quest for picking value winners. Meeting Paul Kealy. In part one Paul Kealy talks about the responsibility he feels when putting up selections, the hours he dedicates to the form study. Has he ever been tempted to turn full time professional, where does he start when tackling a race plus his favourite and least favourite races to study and why specialising could be the key to success. Paul continues his masterclass on picking winners, ratings, sectional timing, the importance or not of the clock, stallion form. ‘Shrewd’ trainers, stats, Raceform Interactive, cliff horses, avoiding unlucky horses and knowing when you’ve looked hard enough and it’s time to stop. In part three, Paul talks about pricing up races, does Betfair price a race correctly by the off? Being confident in your ability, are the exchanges a good or bad thing? 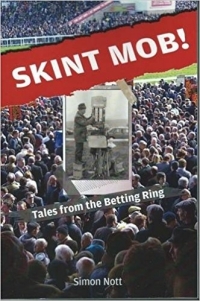 Ante-Post betting, why it’s never been a better time to be a mug punter, does the BHA crack down enough not suspected non-jiggers? Why he wouldn’t even turn his TV on for Southwell. Discipline in betting, Pricewise, the future of the Racing Post, getting hate mail from disgruntled punters and golden rules.